While getting a new car can be exciting, there are also a number of details that go into it. Shoppers have a lot of research to do, especially when it comes to how much they’re going to spend on a vehicle. 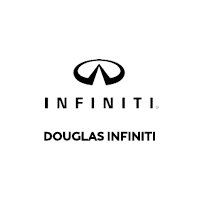 At Douglas INFINITI, we want you to know that we have your best interest at heart, so we make sure to provide you with an array of vehicles, ranging from new to used (and everything in between) in order to match your specified budget. One of our best options for those who are looking for a high-quality, pre-owned vehicle a Certified Pre-Owned INFINITI in Summit, NJ. The program requires each vehicle to be rigorously inspected. In addition to the inspection, there are a number of benefits that go along with purchasing an INFINITI Certified Pre-Owned (CPO) vehicle. If you’re curious to learn a bit more about the inspection and benefits, read on! We have the scoop on what makes INFINITI CPOs such a great option! There are a number of benefits that come with purchasing a certified INFINITI, including 24-hour roadside assistance, fuel delivery and battery boost! Not just any INFINITI can be officially certified. Only the vehicles that pass a rigorous 167-point inspection are eligible for certification through the brand. To ensure that an INFINITI is in top-notch condition before it becomes officially certified, there can be no more than 60,000 miles on the odometer. To find out about additional benefits, contact the friendly staff at Douglas INFINITI.